Brief Point-of-View Video Captures the Intoxicating Whine of a Blower! Pictured above is my 1975 Honda GL1000 Endurance Special RC-003. 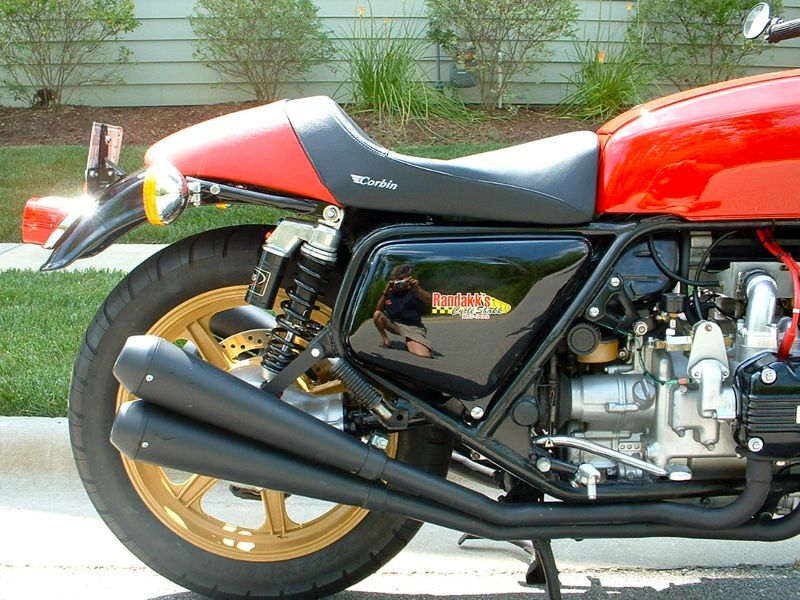 This cafe racer is a bit out of the ordinary from the normal mods/rockers idiom. It was created with nods to both Rollie Free (don’t ask!) and Don Garlits. 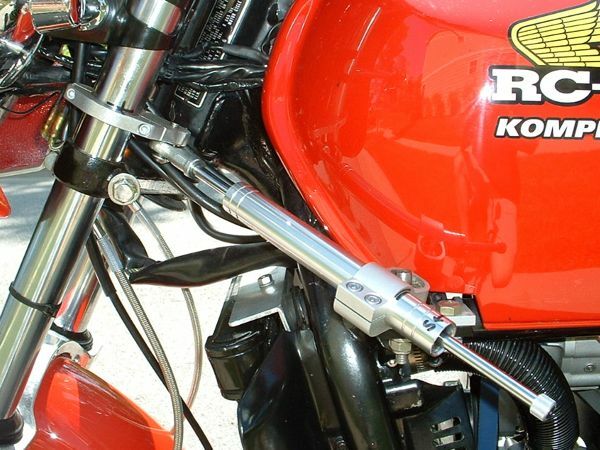 Probably one of the best-handling and swiftest GL1000s ever, this bike is Randakk’s Cycle Shakk’s test mule for R&D on high performance products for the GL1000. Many items are under development. For those who’ve criticized me in the past for being a GL1000 purist snob, your apologies are accepted! 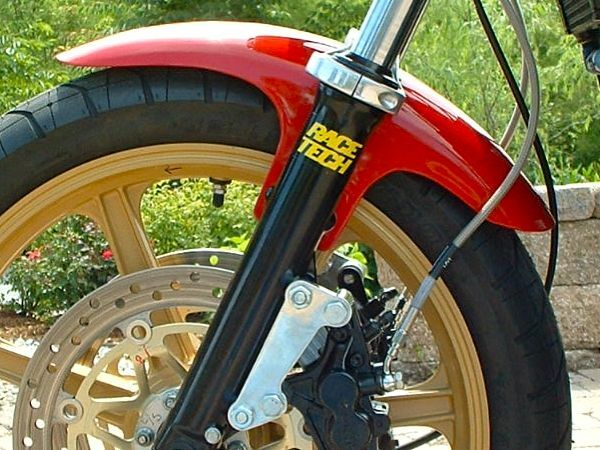 This bike has achieved much notoriety since its original creation in 1999 by my pal Mike Barone. Heavily reworked by me, recent accolades include: Vintage Motorcycles On-line as “Bike of the Month” (February, 2009 edition). 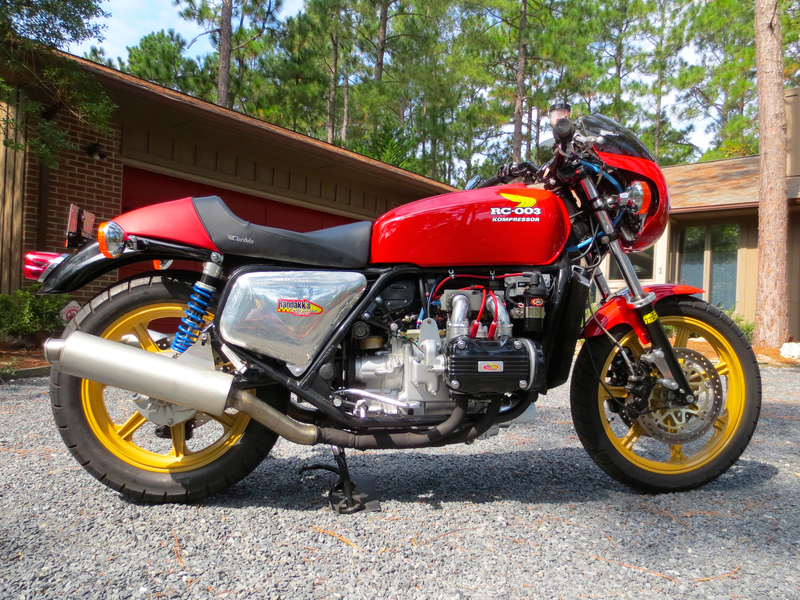 It was also the Naked GoldWing Club’s “Bike of the Month” (November, 2010). 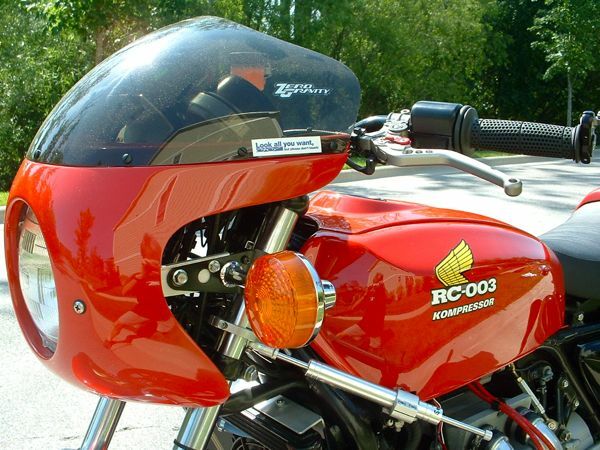 This bike represents my vision for the GL1000…and the design direction Honda could have taken with the original GL1000. True to the original sporting inclinations Honda engineers pursued, this bike has it all: handling, performance and comfort. 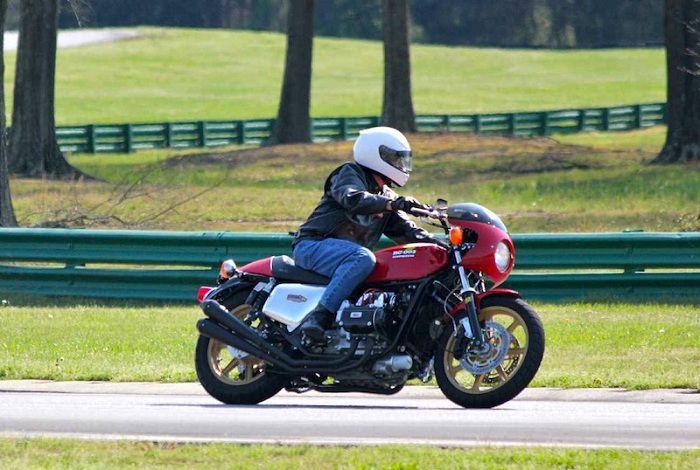 In the hands of a skilled rider, this bike is a track day and twisty road demon. All-out speed was not the goal. Instead, I aimed for a balanced performance combination that would deliver an engaging riding experience for a skilled rider. 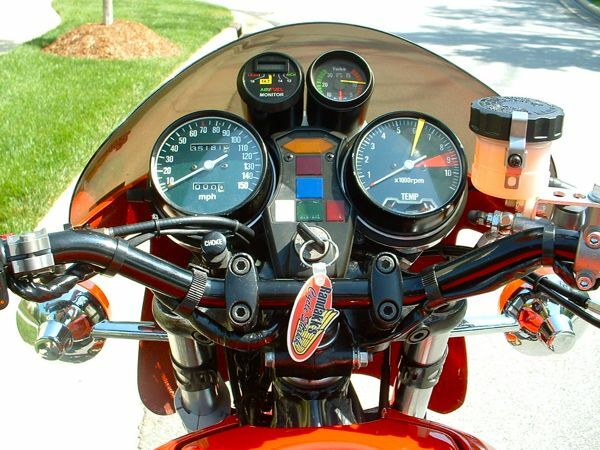 I consider this bike my Gentleman’s Express…artful, yet deceptively fast…a modern-day Brough Superior SS100. This is the bike Lawrence of Arabia would ride if he were alive today. But, unless you’re Jay Leno, a real Brough is beyond the reach of ordinary mortals …click here for information on the real McKoy. I have attempted to avoid going overboard on this bike, but I may be losing that battle. The main focus is on function – not fussy attention to finish details. However, I happen think it looks great…very purposeful. The pipes are especially stunning. Setting aside the blower set-up, my bike could be duplicated at fairly reasonable expense by many enthusiasts. This bike handles extremely well given its size and vintage…suprisingly nimble. 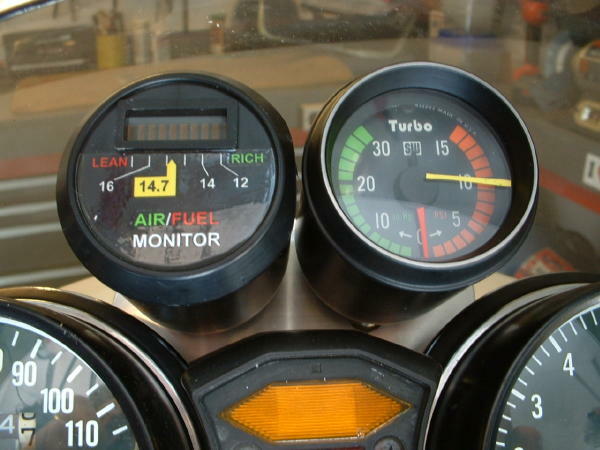 Very predictable, neutral steering inspires confidence. 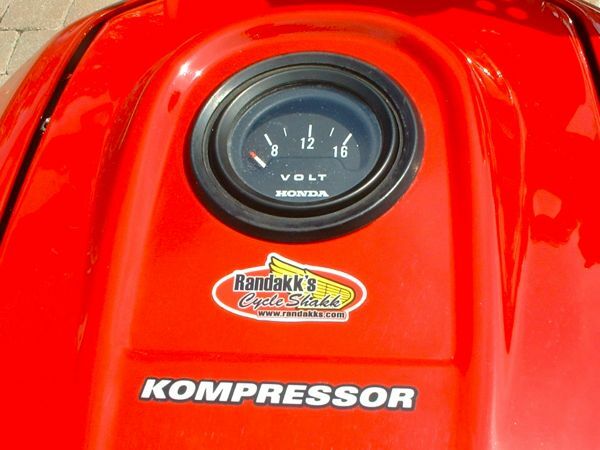 Now running proprietary Randakk Supercharger Prototype. 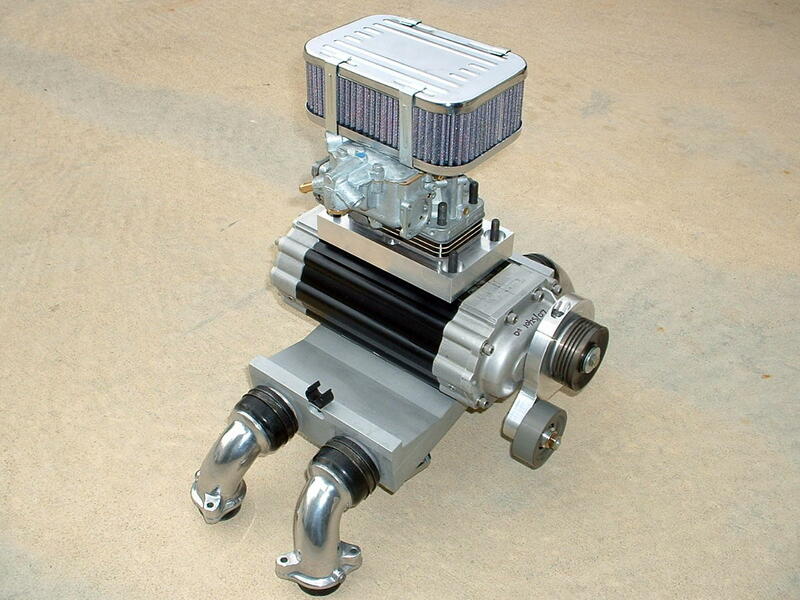 High Performance Intake Clamps: click here for details. 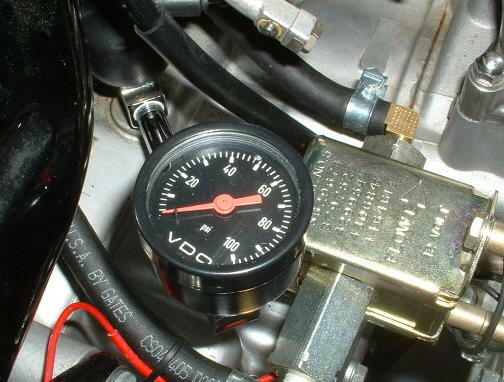 Accel coils and wires. 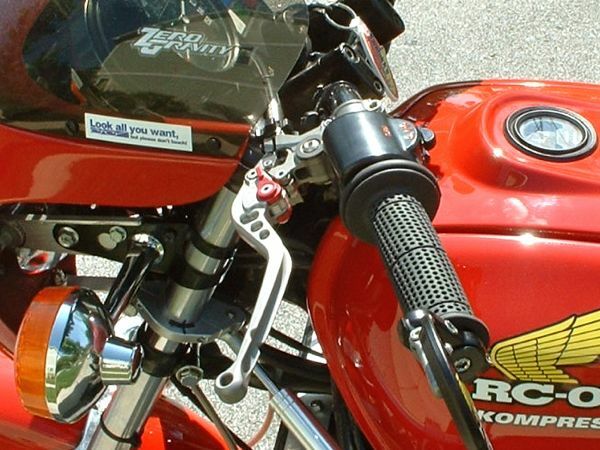 I used ACCEL part #140403 which is their Universal Super Coil Kit for installation on 4 cylinder motorcycles that use breaker points (or non-CDI electronic conversion ignitions like Dyna) The kit includes 2 coils, 8.8 mm wires, caps, terminals, brackets, etc. 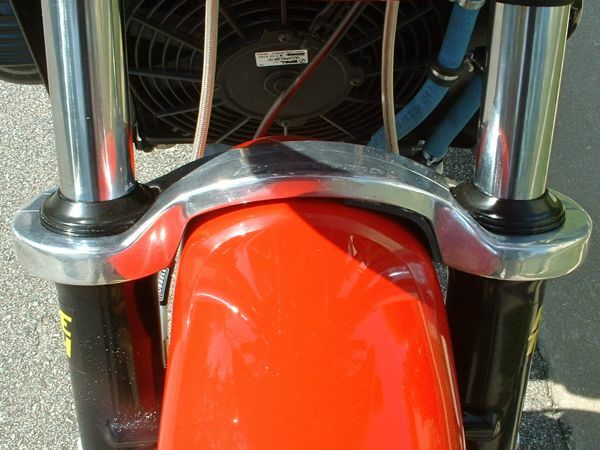 I used the stock Honda brackets, but modified them slightly to increase the spacing between the coils. 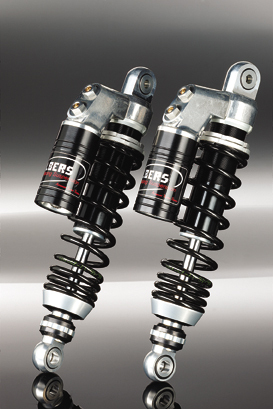 Used as is, the stock brackets will allow the coils to touch each other which is not good. 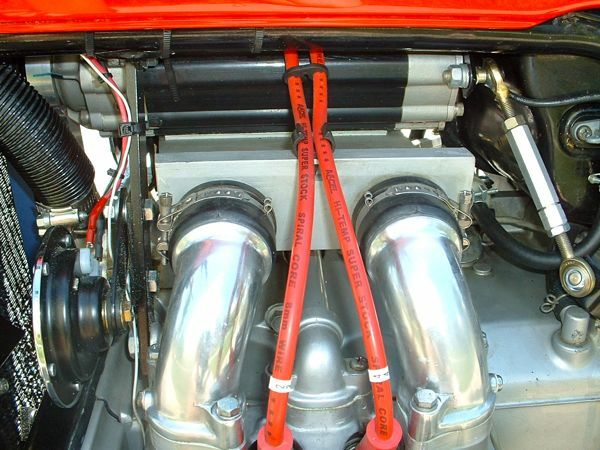 When I installed the blower, I switched to a different type of Accel wires. 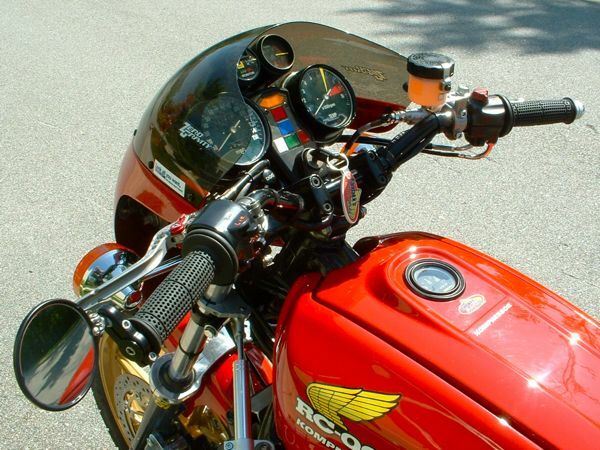 Radical GL1000 ignition is now on the road and performing well. The distributor is a modified Delco-Remy model originally spec’d for a chevy Vega! 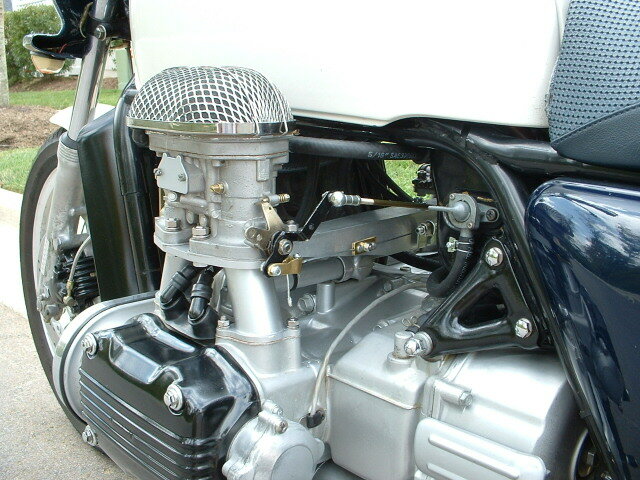 The drive housing is a “one-off.” The left camshaft required a minor mod to mate to the drive unit. Special thanks to Ken Sperry and J.R. Luksik for their assistance on this special ignition! 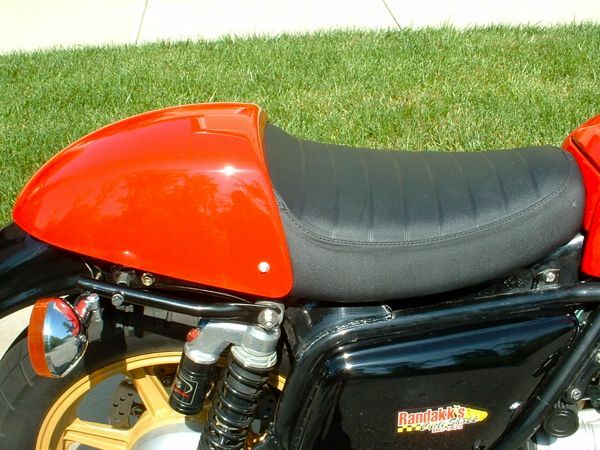 I also commissioned this heavily customized Corbin leather seat…ideal for longer rides! 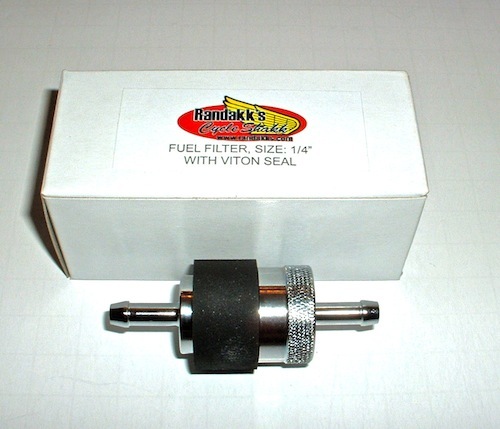 Since the addition of the supercharger, I’m now running a special oil filter adapter (to permit oil cooler) created for me by Bob Hagerman available here. 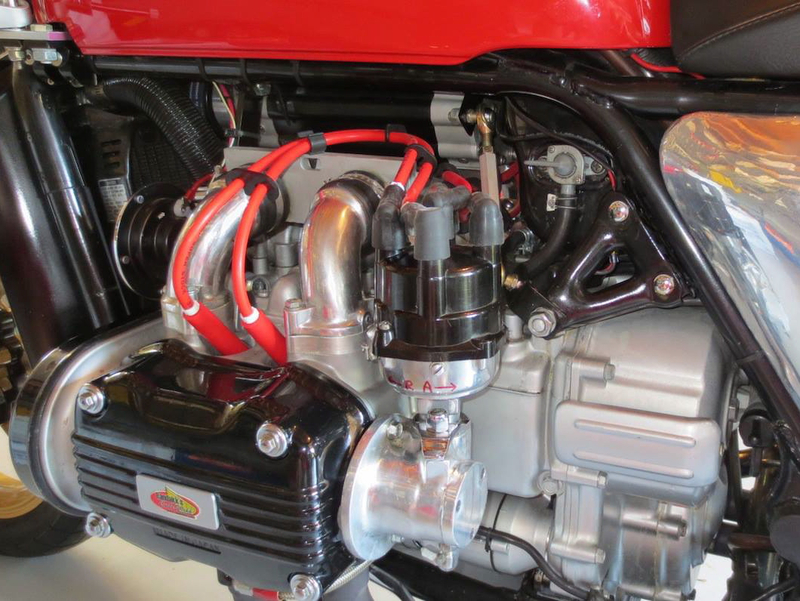 Cooler is heavily-modified unit from ’82 Honda CB900F. 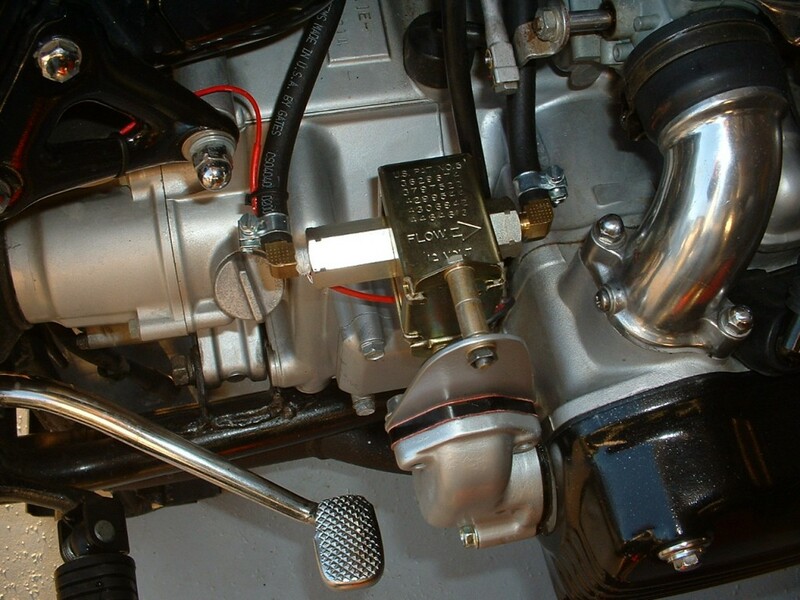 Also running a Think Automotive competition oil cooler thermostat (Mocal model #OT/2F-8JIC) connected via Aeroquip hoses with 8AN fittings. 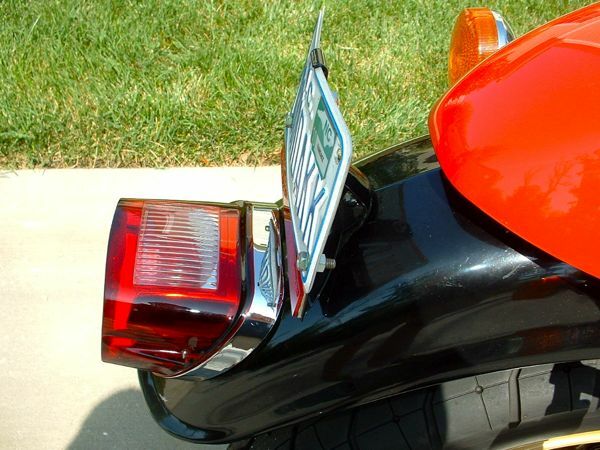 Harley late model Sportster taillight and license bracket. 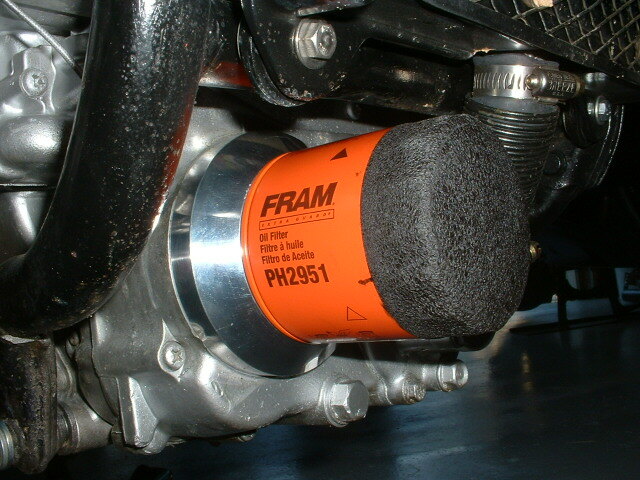 This really cleans up the rear of the bike visually. 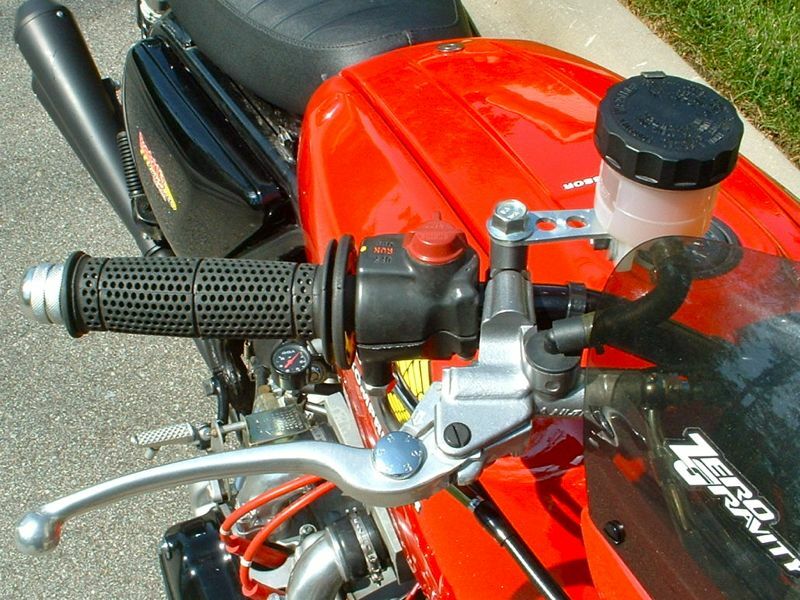 Replacing Throttle Shaft “Felts” on Honda GL1000, GL1100, GL1200, DOHC-4, CBX, CX500, etc. 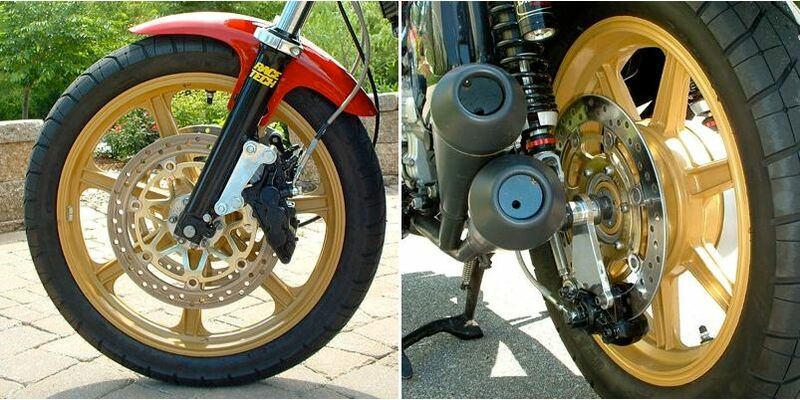 Pod Air Filters or Aftermarket Pipes on Vintage Hondas?